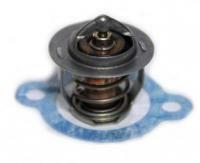 Replacement thermostat and gasket kit. Fits U14T/U15T All 3G81 Engines. Opening Temp 82 Degrees.